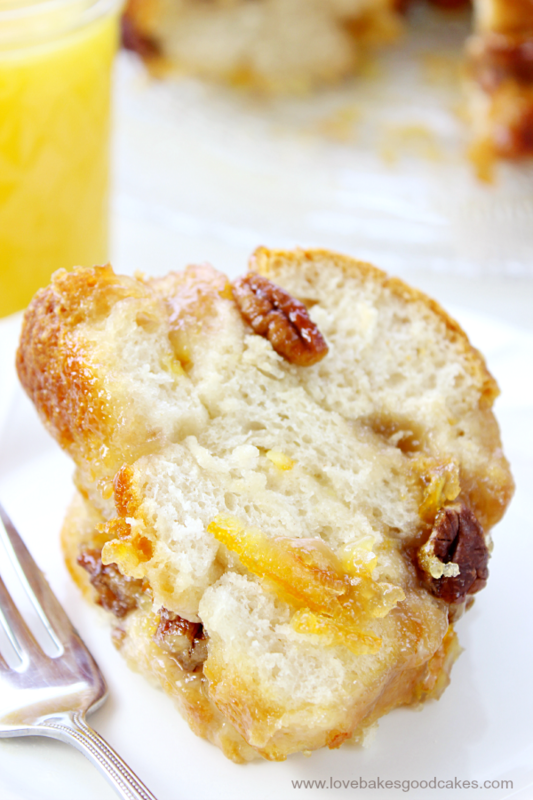 It’s easy to make this Orange Marmalade & Pecan Monkey Bread for a weekend brunch! With only five ingredients, you can be enjoying this gooey breakfast treat in less than an hour! Hey, howdy, hey y’all! It’s Jamie from Love Bakes Good Cakes and I am excited to be back to share another recipe with you this month! 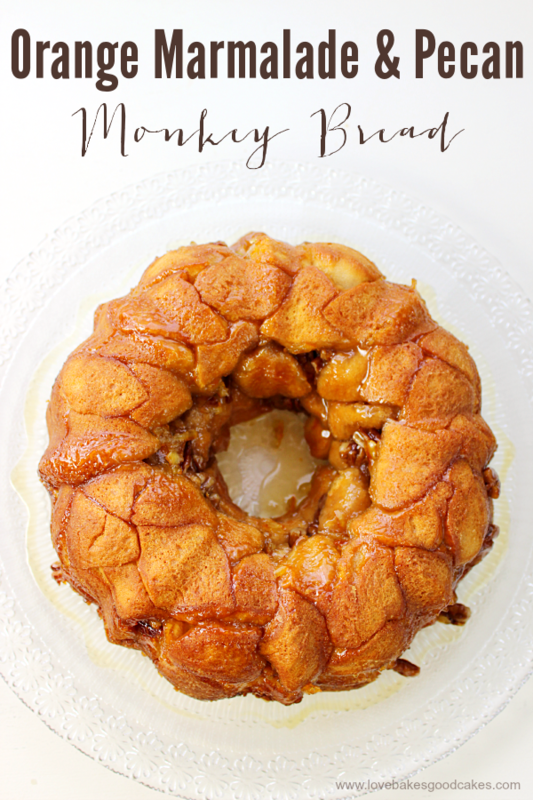 I have been wanting to share this Orange Marmalade & Pecan Monkey Bread for a few weeks now, but since I had it jotted down on my calendar as my April post for A Night Owl, I have waited to post it. Today is finally the day! Woo-hoo! 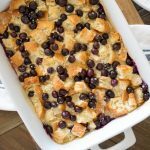 Monkey bread is an ooey, gooey, sticky, sweet breakfast loaf often made with bread dough or biscuits. Served warm, you can easily pull the bread pieces out from the loaf. 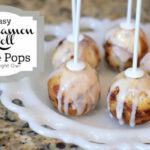 It is incredibly easy to make and you can easily adjust things to suit your family’s tastes. 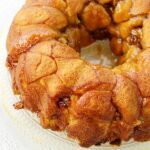 I’m a big fan of citrus and this Orange Marmalade & Pecan Monkey Bread just happens to be one of my family’s favorites! If you’re not a fan of orange marmalade, feel free to use your favorite jelly, jam or marmalade for a fun, new flavor! Raspberry preserves with almonds in place of the pecans, topped with an almond glaze is another favorite in the Love Bakes Good Cakes house! Enjoy, friends! 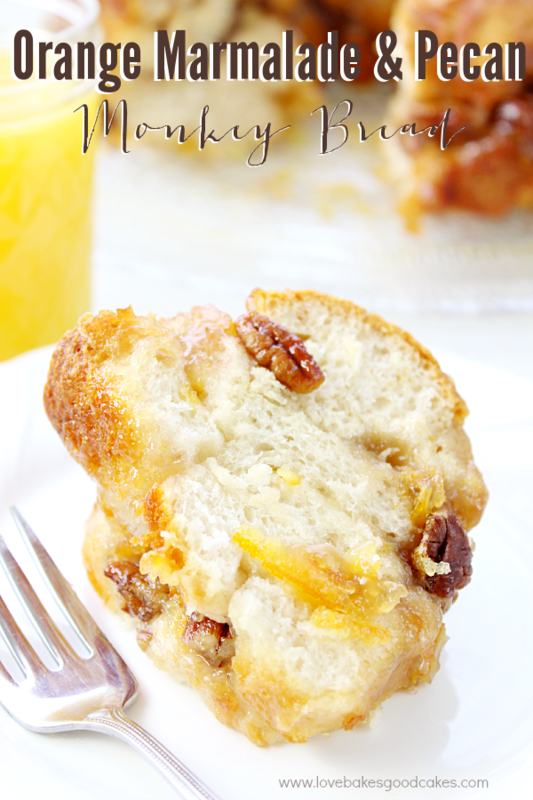 It's easy to make this Orange Marmalade & Pecan Monkey Bread for a weekend brunch! 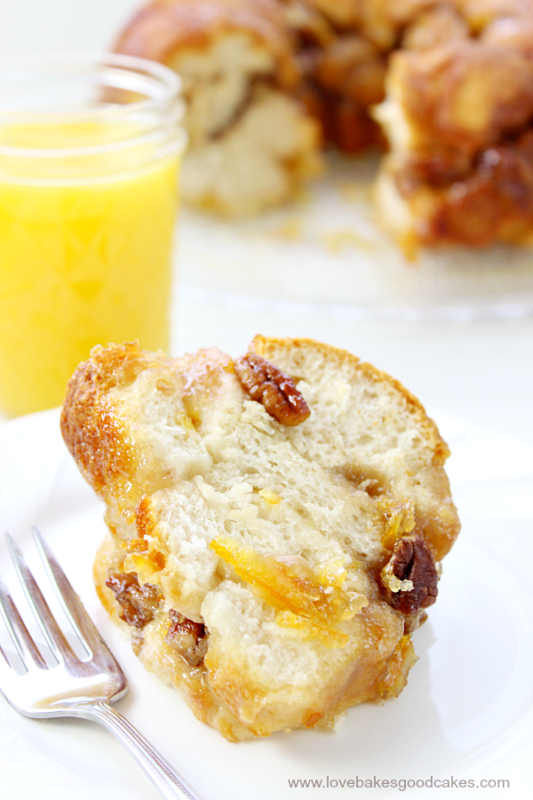 With only five ingredients, you can be enjoying this gooey breakfast treat in less than an hour! Preheat oven to 375°F. Grease a Bundt pan with shortening and set aside. In a small bowl, combine the marmalade, honey, butter and pecans. Mix well. Set aside. Cut each biscuit into four pieces. Place half of the biscuit quarters into the prepared pan. Top with half of the marmalade mixture. Repeat. Bake for 30-35 minutes or until golden brown. 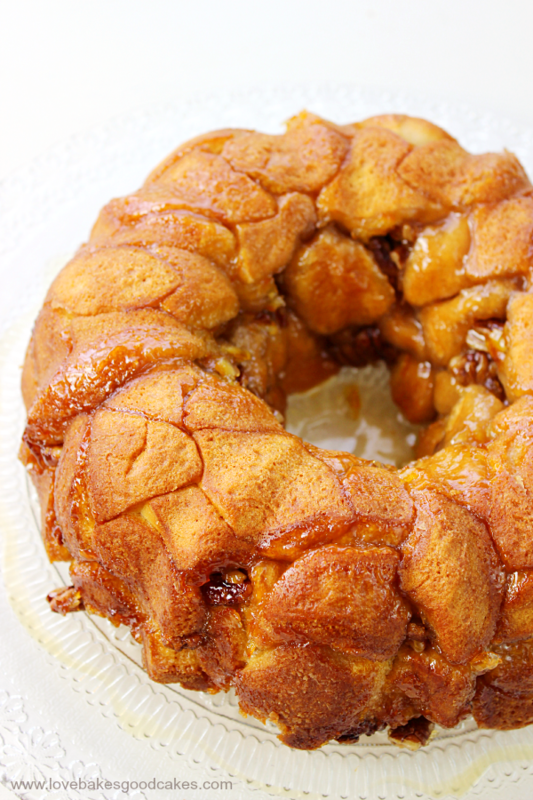 Allow monkey bread to cool in pan for 5-10 minutes before inverting onto a serving plate. Oh my! 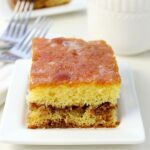 This looks amazing, I bet that the orange marmalade really makes this recipe pop! 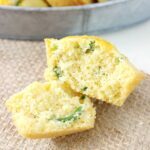 I came across a few of your recipes online. I love the simplicity of each dish yet all are delectable!